Nishibama Beach in Akashima Island of Okinawa. It's proud of beautiful white sands and dynamic gradations of the sea. 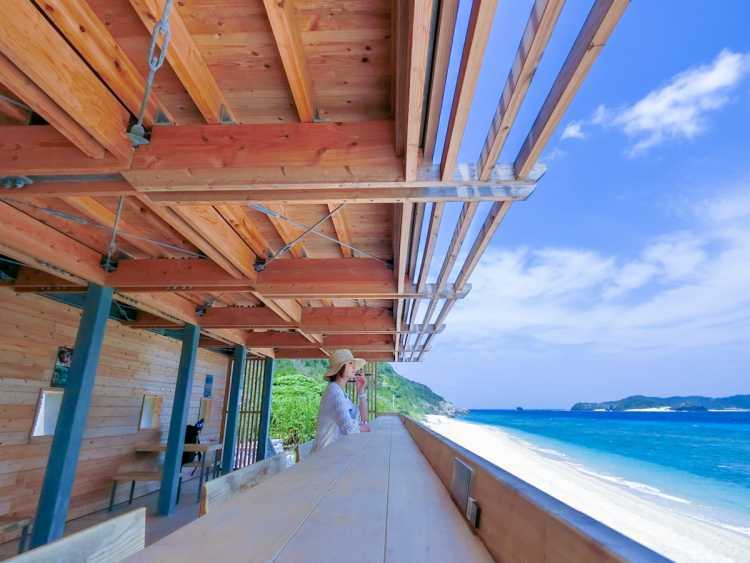 Nishibama Beach Terrace makes it possible for us to have the gorgeous view all to ourselves! Just sitting and gazing this view, we'll be fascinated completely with the amazing ocean view.